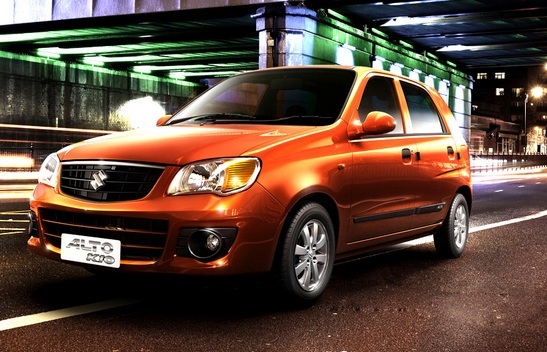 Maruti Alto is the perfect model and is ideally suited for the entry level segment. For the first time car buyers, Maruti Alto is the best choice, because it is the reputable, efficient and low-priced model. The Maruti Company has introduced the car with other two versions such as the Alto K10 LXI and K10 VXI. For a small family and people having a considerably low budget, the Maruti Alto will be the only hatch pack one can think about. The car offers a secure feeling to the person driving the car as well as other people travelling in the car. Further, Maruti Alto is easy and economical to maintain as the spare parts of this model are accessible at any time at an affordable price and the services offered by the company is something best in the car industry domain. The company has also launched the Maruti Alto K10 VXI that is loaded with CNG kit, in addition to the petrol engine. This CNG kit is installed with i-GPI technology that ensures better combustion of gas that leads to enhanced fuel efficiency. The new K10 VXI is highly safe, trustworthy and more over it is environment friendly. The petrol variant of Maruti Alto claims an excellent mileage of 19.7 kilometers per liter. The maximum speed of the car is 138 kilometers. The optimum power offered by the BSIV Compliant engine is 47 Bhp@ 6200 rpm, even though it remains to be a little 796 cc. Moreover, the displacement of engine is 3-cylinder, F8D with optimum torque of 62Nm@ 3000rpm. Also, the 0.8 liter engine possesses an acceleration of 0-100 in 17.7 seconds. In the newer variant of Maruti Alto, the foldable rear seats offer a new dimension unlike the previous version. Moreover, the fabric of the seats in the car is entirely varied that is definitely better than the previous model. At the rear side, the sticker badge has been given and the logo of the company that is fixed on the boot offers a more stylized appearance to the car. Also, the car is equipped with heater as well as ventilator rotary type air conditioner to offer a pleasant ambience, while driving the car. The wheel rim design of the car has been changed to offer a better look. This apart, the dashboard is designed in simple and plain manner with 2 tone colors. The chassis of the car is sturdy that gives an altogether different driving experience. The new Maruti Alto is accessible in varied shades like Super White, Blue Blaze, Ecru Beige, Mid Night Black, Fire Brick Red and Silky Silver. The car is fitted with tinted glasses, bumpers that are body colored, a front grill that is exact and smart and stylish tail gate that offers it an elegant look on the road. Also the car is fitted with a large13-inch tubeless tires and stylish wheel-covers that will certainly make the car a head turner. Apart from these features, there are a few funky interior features like the upholstery that is given vibrant new colors, color matched door trim fabric, trendy gear knob, streamline headrests at the front as well as rear seats to offer a comfortable journey.